Which Rights Will I Sign Away With a Book Deal? Despite the rise of self-publishing, many aspiring authors still have a more traditional goal in mind – to land a good old-fashioned book deal with one of the major publishing houses. But what is this near-mythic prize known as a book deal, exactly? Well, it’s something as ordinary and unglamorous as a legal contract, and a fairly involved one at that. Book contracts with the major houses can go on for pages and include baroque stipulations about everything from royalty schedules to various kinds of legal liability. Most of these things are part of the publisher’s “boilerplate,” meaning they’re a fixed part of the contract template and aren’t open to negotiation from deal to deal. The majority of this boilerplate stuff will likely never be relevant to you – a lawyer I once spoke with liked to say that this book deal fine print isn’t for the marriage, but for the divorce. And the odds that you and your publisher will find yourself at a crossroads are relatively slim. So right now, I’m simply going to provide a brief overview of the “deal points” that come into play when an agent and an editor negotiate terms for a new project. As you read this, please bear in mind that the circumstances surrounding any particular book deal can be contingent on a huge number of factors, not the least of which are the business practices of the particular agent and publisher involved. Nothing below should be taken as gospel. But hopefully, this summary will shed some light on what it means to be published by a major house. 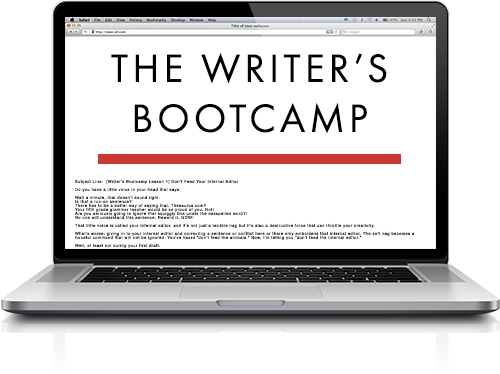 This is the foremost point of negotiation — how much you will be paid for your book, and when. Most advances are divided into installments: first on execution of the contract (“signing”); the second when you deliver your final draft and it’s deemed acceptable by the publisher (“delivery and acceptance” or “d&a”); and possibly additional installments, either on publication or within a specified number of months after delivery and acceptance. Agents often want to get as much money as possible up front, whereas publishers want to spread the payment out over time — especially when there’s a lot of money involved. By signing with a major U.S. publishing house, you will nearly always be granting them the right to publish and distribute your book, both in print and electronically, in the English language in the United States and its territories. You may also be granting the publisher certain “sub rights.” These can include the right of the publisher to sell the book in territories throughout the world, either in English or translated into foreign languages (known as “foreign rights,” “world rights,” or “translation rights”). Sometimes, if your agent thinks that your book has the potential to make a lot of money overseas, he or she may try to retain control of these rights for the author and sell them off piecemeal, directly to foreign houses. This will often result in more money for the author, assuming that there is in fact strong foreign interest in the book. Another major “sub right” is the right to sell your book for film or television adaptation. This right is nearly always retained by the author, not granted to the publisher. Traditionally, book deals specified that the publisher would produce and sell a book in print formats — hardcover and/or paperback. With the rise of ebooks, print guarantees have started to disappear. This means that even if the publisher buys your book with the intention to publish it in print, they are not contractually obligated to do so and can change their mind when the time comes. This, of course, is entirely about money. Print editions are considerably costlier to produce, and as publishers have become more strapped for cash, they’ve become increasingly resistant to guarantee that expenditure. Agents absolutely hate this, particularly those that deal in prestigious literary fiction. But as the future of the print landscape gets evermore uncertain, big publishers are becoming less and less inclined to budge on this issue. As an author, you are NOT contractually guaranteed the right to approve your book’s cover. 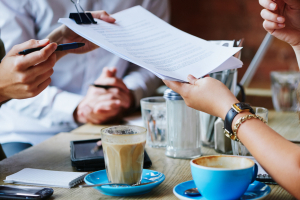 This is a long established standard of the industry and is such is boilerplate – meaning that it doesn’t usually factor into contract negotiation. Your deal may include some language saying that the publisher will “consult” with you about cover art, but you ultimately do not have the power to veto the design they choose. Why? Because the publisher has put a lot of money into bringing your book to the marketplace, they want to be in complete control of how that book is positioned and branded – and cover art is a huge part of branding. This is why Polly Courtney decided to leave HarperCollins. Likewise, the publisher has final say regarding all promotional and advertising content, including the “flap copy” that goes on the jacket of your book. In a nutshell, this is a book deal. 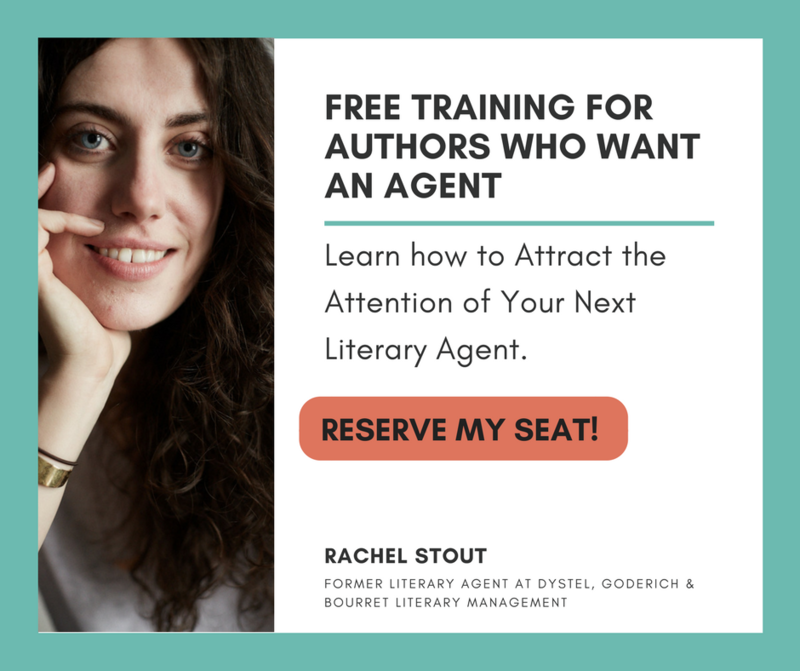 One word of caution: It’s almost always better to have an agent negotiating on your behalf than to make a deal directly with a publisher. A book deal can go wrong in more ways than it can go right.